Formulas “77” and “78” will assure superior results and maximum safety conditions from your spray mist system regardless of make. 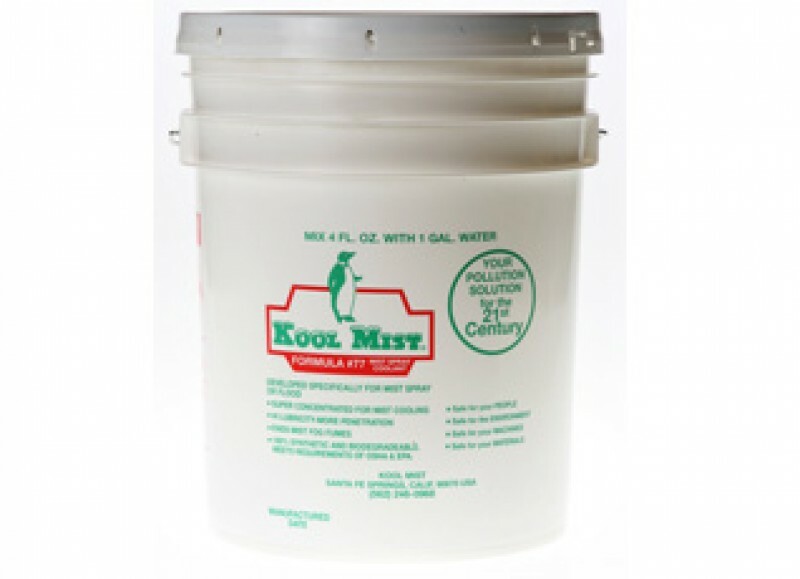 Kool Mist contains no halogens or sulfides and is totally free of dangerous or otherwise troublesome chemicals. It is harmless to operators and ends problems of mist fog fumes. Kool Mist will not cause corrosion, buildup, rancidity or objectionable odors. Neither will it create rust or stains or machined parts even when diluted 32:1 with water. As a result, it sharply reduces parts spoilage, eliminates employee health claims and precludes problems with health and environmental agencies such as OSHA. Both Kool Mist coolant formulas are biodegradable. Greatly reducing storage and disposal concerns and procedures. 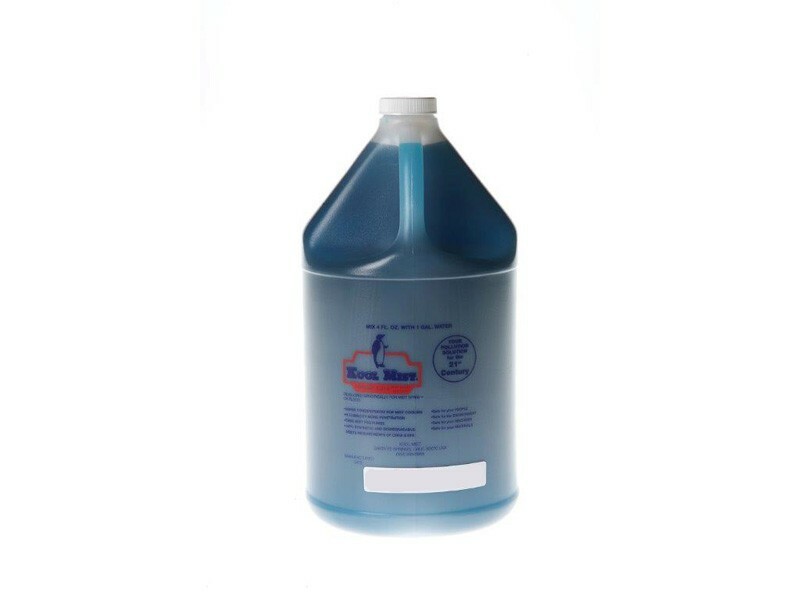 Coolant may be disposed of without special treatment and with no adverse environmental effect. 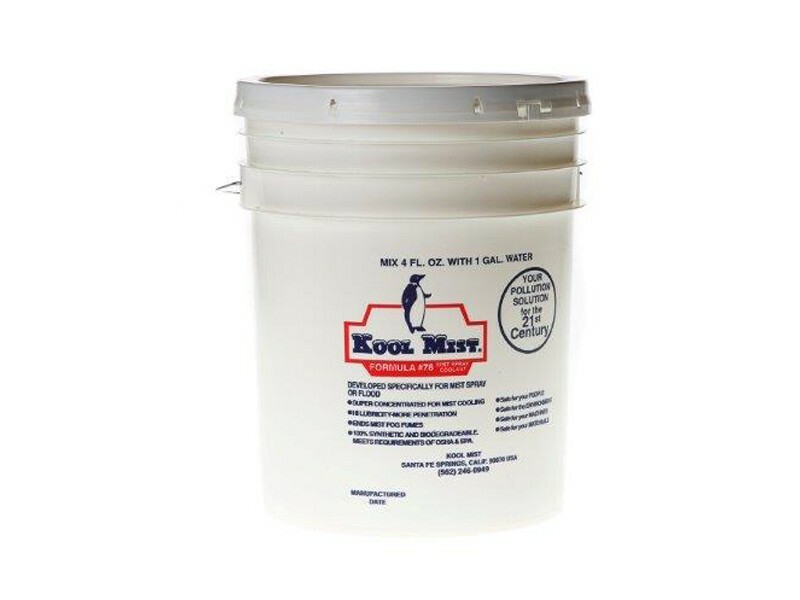 Kool Mist comes in concentrated form, and may be diluted with water solutions up to 33 gallons of mix, or enough for 33 shifts of eight hours each at average rate of use. Therefore, making coolant costs under 3 cents an hour !